The death occurred on Friday last of Peter Murphy. He was 88. Some remember him as the the host of Landmark, RTÉ‘s farming programme, which ran from the 1960s to the 1980s. 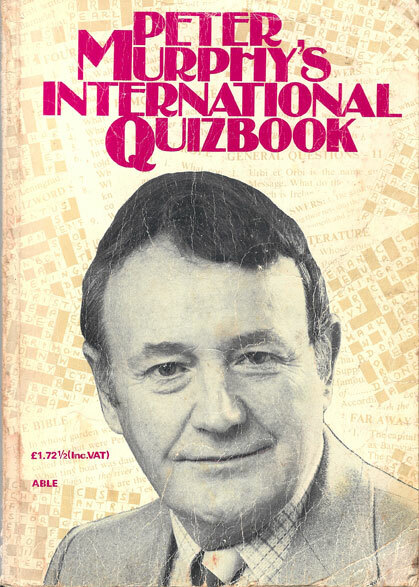 Others remember him as the host of Cross Country Quiz, a county-versus-county quiz on Irish TV. Yet more will have one of his 14 published quiz books on their shelves. But, for me, he was the man who compiled the Quizword in the Sunday Independent for the past 20 years. Quizword, a crossword whose clues are trivia questions, is a shared passion for me, my mother and, on the other side of the fence, my father-in-law. Every Sunday for the past indefinable number of years, I have assisted one with its completion and then done my best to give gentle hints to the other later on in the day. I can only hope that the ‘Sindo’ will keep it going but the worry persists that, even if they do, it will never be the same. Peter Murphy only took up creating the Quizword after he had retired from a very active life as both a farming organiser (with Macra na Feirme and the IFA) and TV and radio star. A noted public speaker in his youth, he became the voice of authority on all things trivia after landing the role as host of Cross Country Quiz, the most popular quiz program on RTÉ, Ireland’s sole TV station at the time. From that point on, he was always willing to travel the byroads and highways of Ireland, acting as guest quiz master for almost every event that contacted him and asked. Trivia is a six-part comedy-drama series, which starts on RTÉ One on February 3. In the build-up to the first episode, I had a chat with writer Damien Owens about the show and his own quiz experiences. Damien Owens is a writer of many talents. The author of four published books, he even writes Chick Lit under a cunningly ambiguous pseudonym. 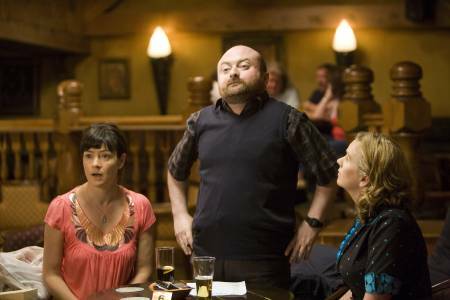 Trivia, which explores the relationships between the four members of a table quiz team, is his first TV show. So what gave him the idea for the show? 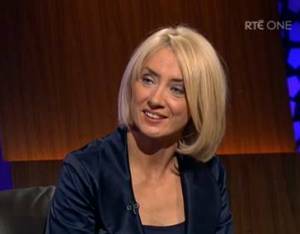 On Friday night, Theresa Lowe, the former host of RTÉ quiz show Where in the World?, appeared on The Late Late Show with her husband, pianist and former political candidate, Frank McNamara. This appearance had a direct effect on this site as over 400 people visited between 9.30pm and midnight, brought here by this post. Great for tablequiz.net, to be sure, but what lies behind this surge in interest? Well, thanks to the WordPress system’s thorough statistics, we can actually see what search engine terms lead people to wash up on the site.